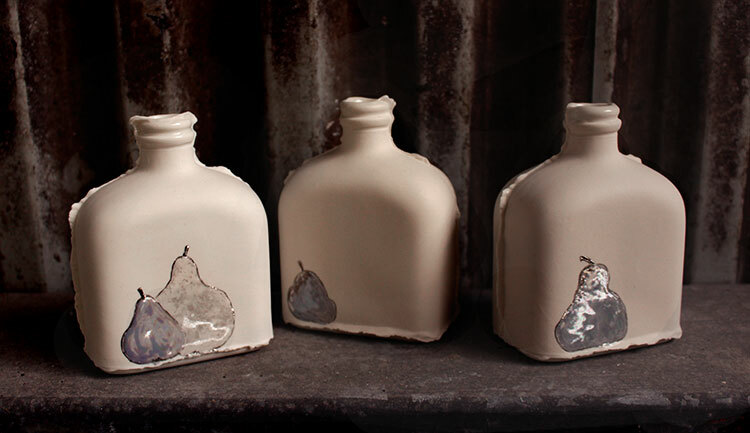 Slipcast porcelain bottles with a floral focus and metallic lustre detailing. 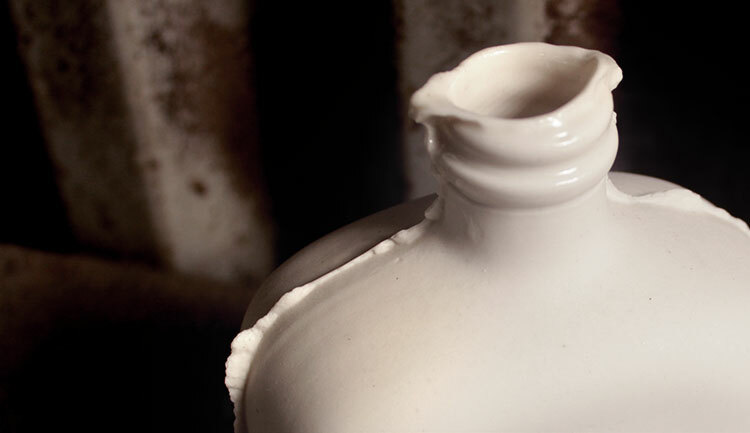 The softened jagged seams have been left on as a reminder of the mechanical process. The bottles are glazed on the inside only. 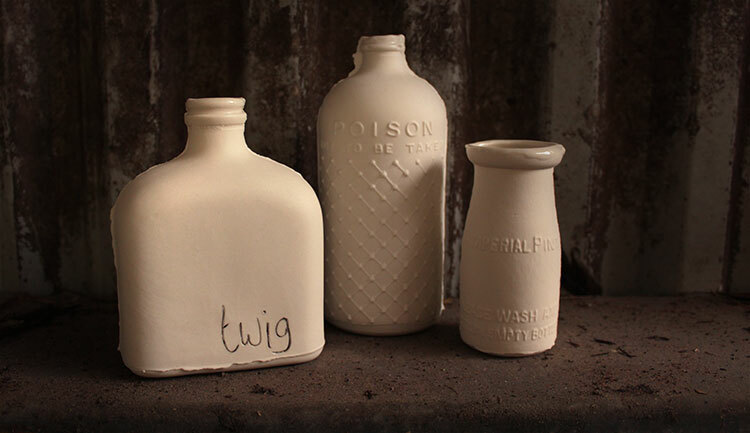 Inspired by a collection of grubby old containers. 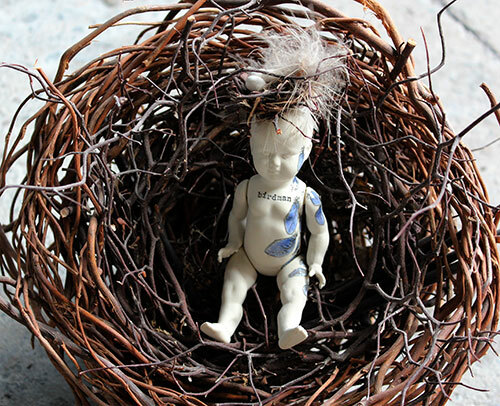 Slip cast porcelain dolls are created from deconstructed plastic dolls. 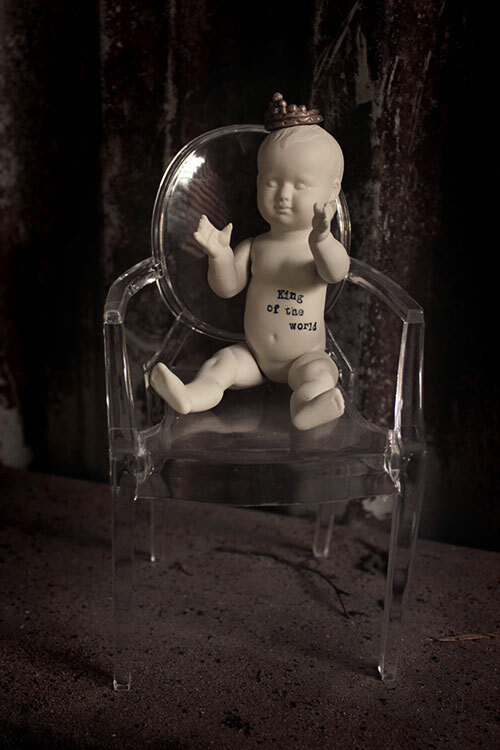 Brutally dismembered and reassembled with their tattoos and text through the process of mould-making and slip casting. The dolls and doll parts may be decorated through the use of carving, inlay, text using typewriter keys and metallic lustres.